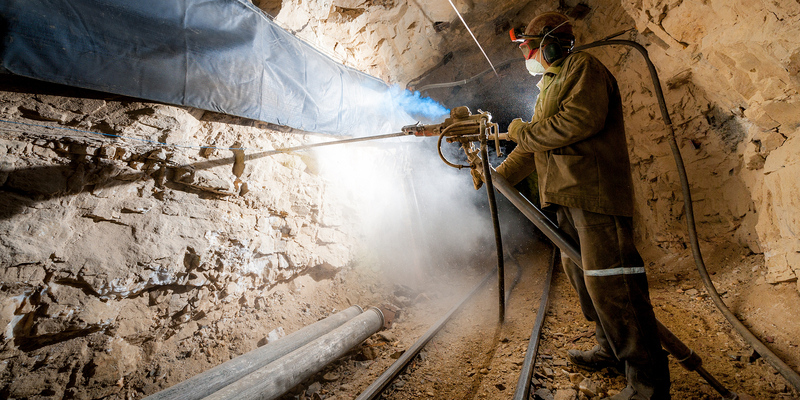 For those working in the mining industry, lighting can be a life or death proposition. Miners depend on visual cues to detect threats related to falls to the ground, slips/trips/falls (STFs), moving machinery and other safety hazards. Though major mining countries have their own unique set of standards regarding safe mining lights, the parameters are usually established by type of mining being done. LED lighting technology has emerged as the technology of choice because LEDs do not have glass coverings or filaments that can break. LED lights are also more efficient because they can provide around 50,000 hours of useful light, nearly 50 times more than the other available technologies. Though it varies from country to country, lighting devices are usually tested in government facilities. There are set guidelines for the amount of illumination needed in mines and these guidelines vary according to the workplaces. Methane that is given off during coal mining can cause underground explosions. Thus, according to the threat, the lighting source used in mining activities should have two basic properties: be intrinsically safe and explosion proof. An intrinsically safe light is one in which the current in the light is of low energy to avoid sparks and explosion in case of short circuits. In explosion proof lights, the explosion started by the source is contained in the device itself. Also the device will not become too hot to cause explosions. A low-pressure sodium lamp could not be licensed for mining because the sodium in the lights could leak and mix with the water causing explosion. The lighting system for underground mines should also have features such as high-levels of brightness and intensity, high output per unit of watt, low-voltage and current requirements, low radiated heat, lightweight, resistant to shock, vibration and atmospheric pressure fluctuations. The light source should draw constant current instead of constant voltage. The usual standard for any light in the underground setting is to be vigorous, shockproof, dustproof and waterproof. Other technologies in this market include tungsten filament, incandescent lamps, fluorescent lights, xenon and mercury vapor lights, metal halide, and high and low pressure sodium. The lighting industry has facilitated the development of many innovative tools to ensure safety in mines. The lighting market can be differentiated by portable and non-portable devices. The portable devices mostly consist of cap lamp and flashlights. The non-portable types of lighting tools are segmented as mobile machine mounting, area or bay lighting and transportable work/inspection lights. However, most of the equipment used is versatile enough to be converted for stationary or mobile use. Current used in this equipment can be AC or DC. The stationary devices mostly use alternating current. The portable equipment usually runs on DC batteries. As with most markets, trends in the industry drive the demand for underground lighting systems. Commodity prices affect the global mining industry and consequently the need for new or upgraded lighting systems. Developed nations in North America and Europe have seen a slowing of mining activities while countries such as India are still in a growth mode. Experts say future infrastructure and industrial development projects sanctioned in Asian and African region will supplement the demand for underground mining.